LoJack for Mobile Devices is the only patented security software system with an Investigation and Recovery Services Team that partners with law enforcement around the world. Additional features include remote lock, locate and delete so that a stranger cannot access personal files - a proactive step to prevent identity theft. All the standard edition features plus our Service Guarantee. 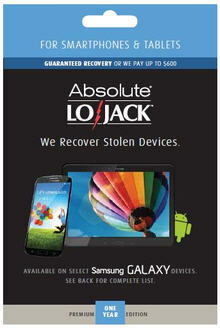 If your phone isnt recovered get up to $600 back.